Back in early elementary school, we learned about Arbor Day, which it turns out is older than Earth Day (1872 vs 1970). It’s one of my earliest memories of school, and I honestly can’t say why this one resonated at such a young age. 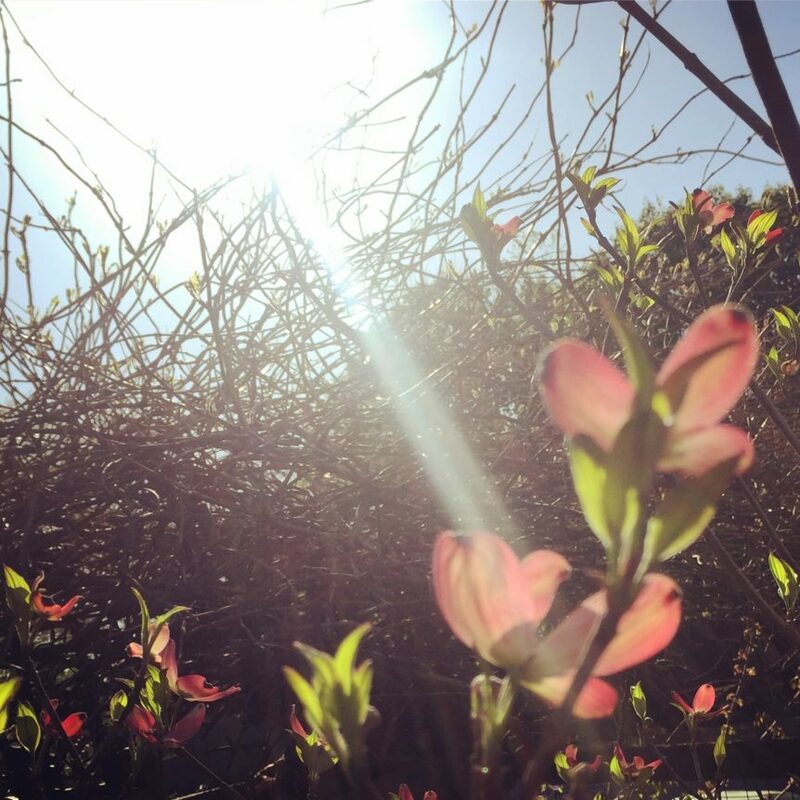 Growing up in the South and spending April outdoors meant hay fever and bee stings for this writer, followed by a most unpleasant series of allergy shots. As we lived in Appalachia at the base of the Blue Ridge Mountains, this also meant long drives into Charlotte for poking and prodding, with a side of car sickness each and every time. There weren’t many highways to the allergist back then; much of the construction in this booming area is relatively recent. Still, April and Arbor Day always stuck with me, and even if we don’t plant a tree each year, my family does have reverence for them as well as taking care of and enjoying our planet. A while back we did plant a pink dogwood tree and now a few years later it’s finally showing its first full bloom. We had white dogwoods growing up, which are also stunning in spring, but the vibrancy of pink draws an energy even more welcome. 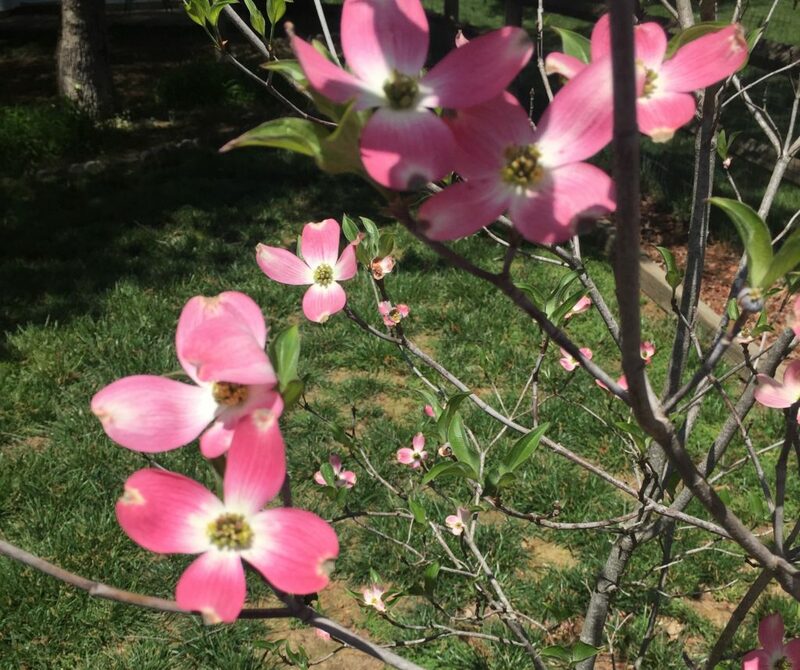 Of course, being Southern, we learned the legend of the dogwood, too. This year, I’m making an effort to celebrate both Earth Day and Arbor Day. We only have one planet, and even if efforts to seed man on Mars (or elsewhere) succeed, we should pledge to take care of this one, to leave it in good shape for future generations. A native North Carolinian, it is bittersweet for me to watch the explosive growth this area is experiencing. Growth brings good things, such as a greater opportunity for Aspies to find resources they truly need as well as a healthy community to take part in. But it also tears up the land, draws on water resources in an already drought-prone state. Some HOA’s fine homeowners who won’t keep their lawns the right shade of green (pulling even more on water resources, often applying non-“green” pesticides) while others break watering rules because yards were green “back home.” Newcomers with old habits fumble to embrace the new landscape digging basements in areas thick with clay. In short, as we continue to grow, to boom, we must choose to respect the earth we’re manipulating. Packing apartments in drains natural resources faster than they can be replenished, which is what is happening by me. It is also driving wildlife out, which includes hawks and snakes, two creatures deserving of respect. Anyone living in the area can attest to this as hawks move into subdivisions, now swooping down on homeowners out for a walk. And snakes? *shiver* When the last new road was built, we had a visible increase of type and size I’d never seen before, including one small snake that fell out of a tree onto our patio as rocks were blasted into submission. Reports of copperheads in my neighborhood are increasing, too, coinciding with more land clearing, more building. In a world where we want facts (yet are glued to the latest celebrity gossip hardly based in fact), much of this is anecdotal, backed up by personal accounts and pix shared on the big blue media or by word of mouth. Personally, this is something I and my neighbors witness first hand. And I have no interest in digging for “studies” and “reports” in an effort to combat the spin realtors, developers and others excel in creating in order to make a profit. Unrestricted development has a price, and it’s steep. The loss of green space at the drooling of developers makes me heartbroken. There is a reason people once flocked here, and it wasn’t mounds of concrete, traffic jams, and plastic siding. In part, it was the lushness of the Carolinas, a more laid back way of living. The beautiful blue sky, fiery azaleas, and fragrant honeysuckle bushes on the hillsides. Just as the accent of my childhood is thinning due to the influx of newcomers, so is the greenspace and tree canopy this area was once loved and known for. On this Earth Day and this Arbor Day I feel so sad. Yes, I want to exude positivity, but sometimes we need to be sober so we can choose how to move on. For now, I am planning an herb garden despite my brown thumb. 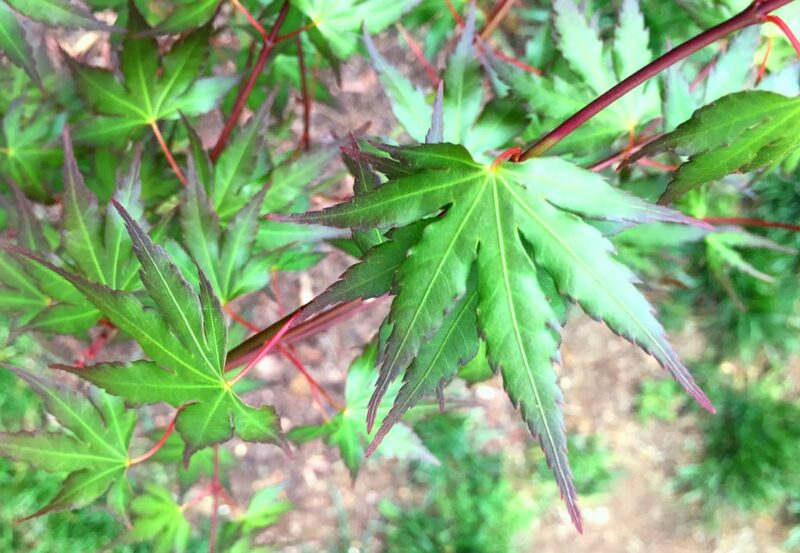 We’ll continue to nurture the Japanese maple, a seedling gift from our dear neighbors. And before the air turns piercing and humid, we’ll head up to the hollar and surround ourselves in one of the few forested areas left untouched by man, where black bear continue to roam, and rattle snakes have plenty of room to nest. North Carolina didn’t make for an easy childhood for this writer. Many of the kids were unkind to me, and a handful of my peers. But nature is what saved me. Looking at the mountains on the way to school made entering that school building easier. Climbing the old crab apple tree helped me forget the taunting I got from the girls at recess. As we erase nature and try to socio-engineer humans into smaller spaces in tall buildings, I worry we’ve lost sight of how nature isn’t just a healer, it’s life. For a bullied, quirky kid such as myself, it helped me through. And for others, I’m certain it does the same. On this Earth Day, this Arbor Day, take a moment to consider what we are doing to this planet. Is it right? Is it good? Does it matter? What do you think? If you’ve made it this far, thank you. If you have your own story to share, please do so in the comments below! Wishing you happiness and peace!